In the coaching program, responsibilities are shared between the coach and the coachee. Both sets of responsibilities are vital for ensuring success. The coachee drives responsibility for their growth, exercising increased authority, and working towards a performance advantage. As coach, I take responsibility for helping to identify new actions and approaches, and reviewing them, and ensure accountability against the agreed goals. The personal and organisational contexts are balanced according to the needs of the executive. 1. 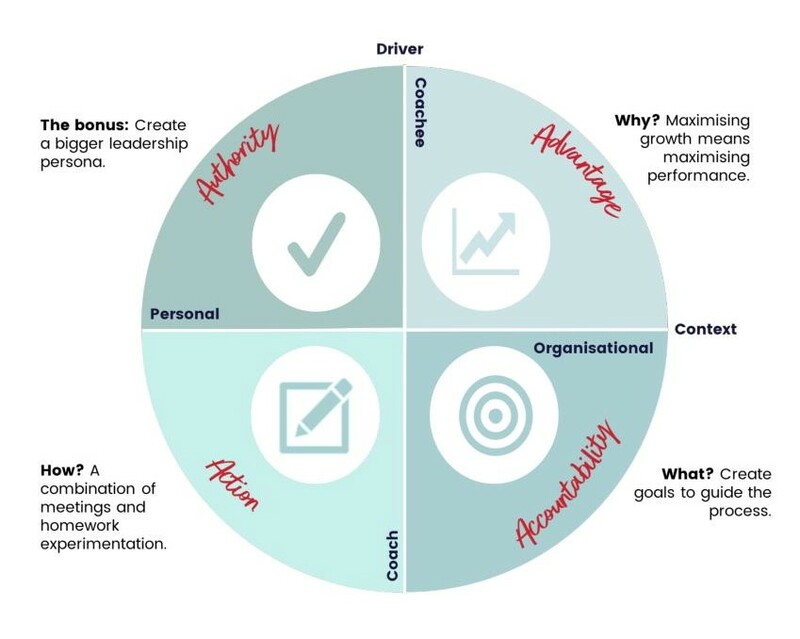 The coaching advantage: maximising growth and performance. The growth that the executive experiences through the coaching process needs to payback to the organisation in improved performance/behaviour. Likewise, the organisation needs to sponsor/care about the program, and be both upfront and clear about what that performance difference looks like. Clear goals are a must for coaching accountability. Accountability is easy to manage by creating and agreeing clear goals with the organisation. The coach is accountable for focusing on achievement of those goals. And for keeping the coachee focused on the goals. If it doesn’t get translated into action, it isn’t coaching. Talking and reflection aren’t much if they aren’t turned into new actions and experiments for change. Otherwise it is just talking and listening, maybe counselling, but it isn’t coaching. Coaching helps challenge and clarify the coachee’s limitations on and comfort with the expression of their own authority. This is a generic coaching program flow that can be tailored to organisational and individual needs. 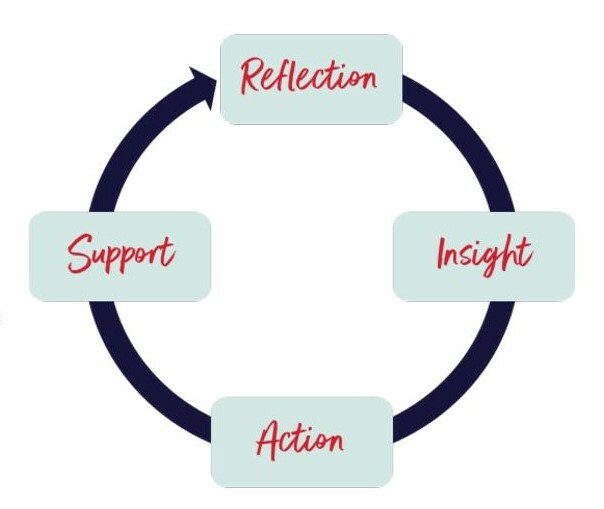 My approach during coaching sessions has four key foci, reflection, insight, action and support. Coaching meetings are 1.5 hours in duration to enable a reflective rather than a business perspective to be taken. This enables deeper assessment of strengths and gaps, appetite for change, and exploration of leadership identity and motivations. Outside of coaching meetings, coachees are encouraged to build reflection into their repertoire. Methods for doing this, such as a daily diary, are discussed. As follow-up to coaching meetings, and subject to the coachee’s appetite, I provide online resources and a reflection area. This promotes the translation of new ideas and techniques into practice and maintains contact between meetings. Much of the coaching conversation is devoted to helping coachees deepen their insight into their leadership identity, what challenges them most, and identifying ways to free them from unnecessary psychological constraints. 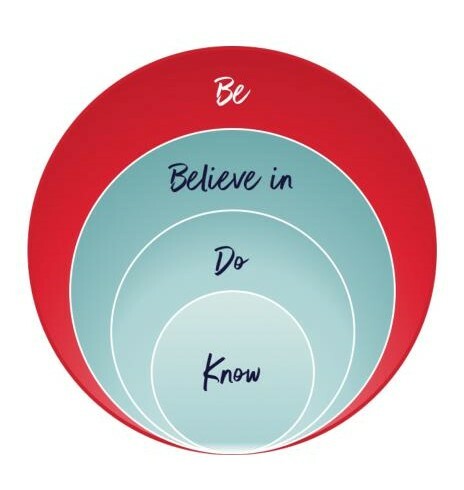 I use perspective-taking tools, such as exploring situations from a variety of perspectives, asking many open-ended questions, and providing frameworks that map leadership interactions in new and different ways. Coaching sessions are always focused on taking away at least one new behaviour/approach to experiment with. Coachees often use coaching sessions to explore particular scenarios that they find challenging so that they can move on to identifying different ways to engage and respond to others. Responding differently while remaining authentic forms a part of most coaching programs. Actions are always reviewed in the following session. Part of my role as coach is to provide support to coachees, and finding the right balance between challenge and support is one of the frames I hold while coaching. Change requires energy, particularly when people are already working at their energy limits. Paying mindful attention to coachees’ energy balance and resilience is an important part of my role. Learning occurs through four different modalities, each of increasing complexity. Knowledge leads to new skill development leads to a new understanding, and then to a new way of being as a leader. Coachees expand their leadership out in ripples until they are transformed. They become bigger leaders.